Scatter: This chart displays the correlation between two variables. 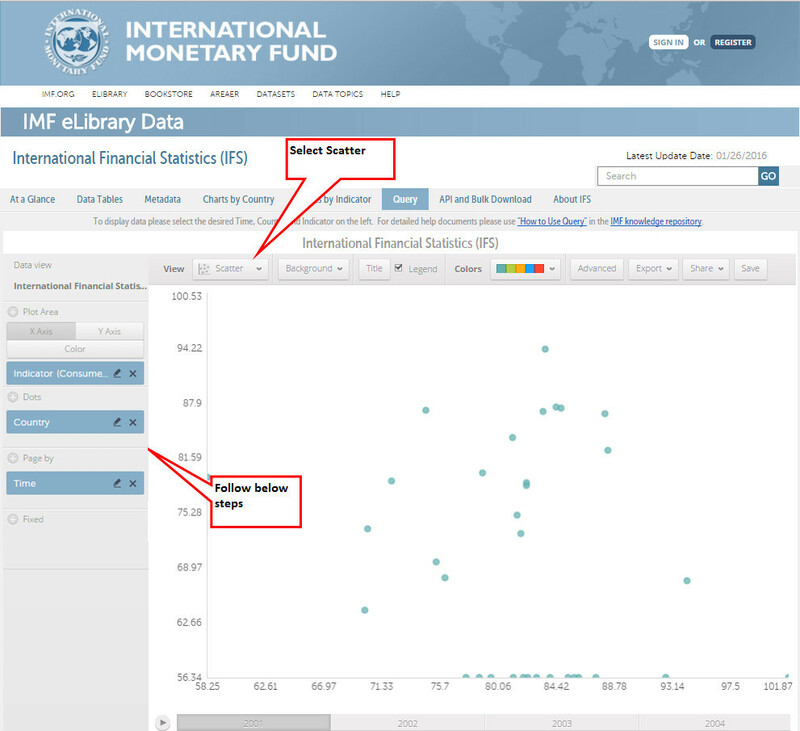 Scatter chart Instructions - The sample chart uses the International Financial Statistics dataset. For Advanced Economies countries the charts plots GDP, Real, Index against CPI, All Items, Index; it shows years : 2001, 2002, 2003, and 2004. Click on the plus sign next to Dots and select Country. Mouse over Group and click to select Advanced Economies.